Tucked away behind a detached garage a garden retreat hides. 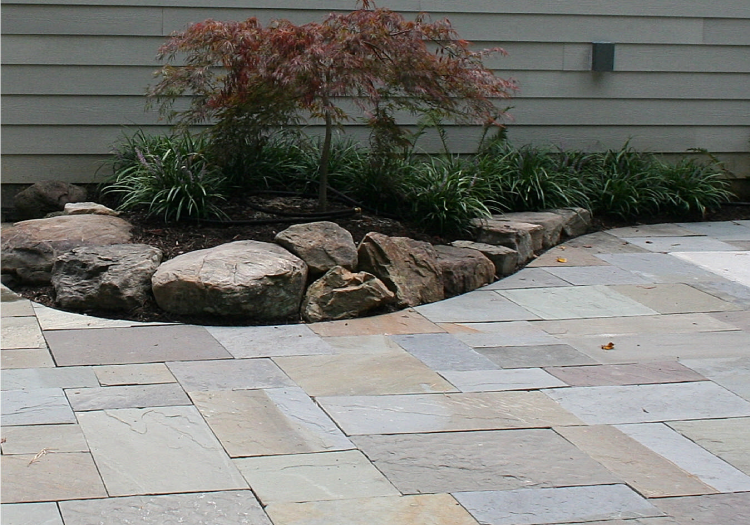 This small area offers a base for a future hot tub, a small boulder retaining wall and low maintenance plantings. The Laceleaf Japanese Maple underplanted with liriope will require very little maintenance and still provide elegant grace and beauty throughout the seasons.